Imagene Stewart has many battles to fight. She comes armed with a life long cache of compassion. Her morale is high. Surrounded by the mighty fortress of God, she fights on against the mortal enemies of time and apathy. Where she feels pain, she heals it. Where she senses loneliness, she comforts it. Where she sees an American flag, she salutes it. Born Imagene Bigham in Dublin, Georgia on September 23, 1942, she learned the foundation of her life from her parents, Rev. J.C. Bigham and Mattie Watkins Bigham, who married in Laurens County, Georgia on November 28, 1941. Imagene married Lucius Johnson on August 11, 1958. After her marriage to Lucius “L.C.” Johnson ended, she lived in public housing in H.T. Jones Village with her mother, and her two sons, Michael Tyrone Johnson and Jeffrey Lorenzo Johnson. She worked a domestic servant just like her mother. Imagene learned all too well of the injustices of life in the country in the fifties and early sixties. She Participated in many civil rights marches in Dublin with the Bates sisters. Stewart, a harsh critic of the Veterans Administration for its seemingly uncaring treatment of homeless and helpless veterans and their families, refused to accept donations from the federal government. “Veterans are discarded by the military. The country does nothing for its homeless veterans,” she said. She accused many other similar shelter operators of bilking the government of funds without really caring for the veterans. Following the success of her six-family center on P Street in Washington, D.C., she opened a ten-family shelter in the Suitland section of the city. Imagene married Albert Stewart, a veteran of the Korean War. Both of her sons served in the military. Imagene told the reporter from the Pentagram, “ I always wanted to be a soldier, but in those days the military rarely accepted teenage mothers.” She keeps close to the military as much as she can. She visits the wounded and maimed soldiers who are being sent from Iraq to Walter Reed Hospital. “They are babies, 18- and 19-year-olds without arms and legs. What are they going to do when they try to pick up their lives?” she wonders. She has served as Chaplain of the Tuskegee Airman Civil Air Patrol at Andrews Air Force Base. Stewart served as the National Vice President of the Eastern Division of the American Legion Auxiliary from 2000 to 2001. She served as president of her local legion auxiliary as well as on the executive board of D.C. Veterans & Auxiliaries Council Veterans Against Drugs. She has been a member of the U.S. Air Force Mother’s Club, American War Mothers and Amvets Auxiliary. In addressing the convention of the American Legion in 2001, she commented on the suggestion that blacks pledge allegiance to Africa and not the American flag, she brought forth a thunderous standing ovation when she told the gathering of veterans, “Well, honey, I ain’t never been to Africa. . . I was born in the United States of America, very proudly.” She has been named by the National President of the Legion Auxiliary as “An Angel in Action” for her decades of showing mercy to homeless veterans. Stewart was consecrated presiding Bishop of the African American Women's Clergy Association during a Women's History Month celebration March 2, 1996 at the Chapel of Hope, Shilo Baptist Church. She is a pastor of the Greater Pearly Gate Full Gospel Baptist Church, Bishop Stewart was the first African-American minister elected National Chaplain to the American Legion Auxiliary. For decades, Bishop Stewart has been a leading advocate for a constitutional amendment to protect the American flag from desecration. Despite the fact that most states have asked the Congress to adopt such an amendment, the Congress has failed to act. She served on the board of the Citizens Flag Alliance and urged her listeners to speak out in favor of the amendment to protect the flag. While Imagene has long been an advocate for the rights of her people, she doesn’t consider herself an African-American. “Some people tell me my allegiance should be to Africa,” she told the Pentagram reporter. “I’m from the USA. I’m an American,” she proudly proclaimed. She is often criticized for her support of President George W. Bush, but that doesn’t mean she isn’t an advocate for social rights. She always has been there to defend and promote the rights of all persons. She has adopted a policy of “love one, love all.” She supports President Bush for his strong stance in protecting the freedoms we enjoy following the Attack of America. Today, Bishop Stewart is fighting the biggest battle of her life. It is a personal one, the battle against ovarian cancer. Tonight when you go to bed, say a prayer for this “Compassionate Warrior.” Pray for her health and those she fights for. The wood paneled walls of Bob Shurney's home office are nearly covered with an eclectic array of plaques, presentations and proclamations, all in a testament of his thirty-six years of public service to his country. Overcoming the tragedy of his mother dying at a young age, this Dublin native served his country admirably both on the ground and in the air. This is a story of a man who was given an equal opportunity to show his abilities and became one of the most important men in the history of manned space flight. 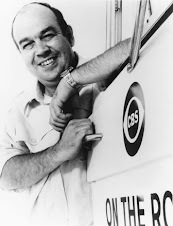 Robert Ellerston Shurney was born in Dublin, Georgia on December 29, 1921. His parents, Vance Shurney, Sr. and St. Clair Weston, were also the parents of Vance Jr., Green Weston and Edna Louise. Vance Shurney, a native of Cochran, Georgia, lived at various places while he in lived in Dublin. After World War I, he moved from his home at 302 N. Washington Street to another home on Cooper Street. Vance, Sr. worked as a fireman for the Dublin Lumber Company during World War I while St. Clair was a teacher. St. Clair Shurney died when Robert was only ten years old. Robert was devastated and reportedly never knew how his mother died. Robert and his siblings moved to San Bernadino, California to live with their grandparents. It would be another quarter of a century before Robert would see his father again. Vance Shurney returned to Dublin, where he died on January 16, 1991 at the age of one hundred years. Robert Shurney always had a talent for building and designing things. He worked as an auto mechanic as a teenager. Economics forced Robert to withdraw from school to help support the family during the Great Depression. His grandparents wanted Robert to be a minister, but he wanted to be an engineer. Robert was able to fulfill his parent's dream of his receiving a Christian education. He was sent to Oakwood College in Huntsville, Alabama, where Shurney still lives today. Robert Shurney moved to Washington, D.C. and was drafted into the service in World War II. Shurney seemed to have a natural born aptitude for medicine and helping others and became a medic in the United States Army at Camp Meade, Virginia. He served in the army during the invasion of France and endured the horrors of war on a first hand basis as the Allied forces moved across France and Germany. After his three-year hitch in the Army, Shurney retired to civilian life. He returned to California after he married the former Miss Susie Flynt. Robert and Susie were blessed with three children twins, Glenn and Glendon Patricia "Peggy," and Darrell. Afterwards the Shurneys moved to Nashville, Tennessee where the course of Bob Shurney's life would change forever. It was in Nashville where their last child, Ronald "Ronnie," was born. Robert returned to the medical field when he took a job as an engineer in the Riverside Hospital. It was at the hospital where Shurney's life's mission was steered in another direction by Dr. Carl Dent, the hospital administrator. Shurney wanted to help others and to become a success to support his family in the process. Dr. Dent and some of Shurney's other colleagues and friends urged him to attend college. One friend told him it was impossible, a statement which spurred Robert to enter college. In the 1950s, it was nearly impossible for a man of thirty-five years of age with four children to attend college, much less a black man in the South. But Shurney persevered. He graduated with a Bachelor of Science degree in Physics and Electrical Engineering from Tennessee State A & I University in Nashville in 1962. The most exciting field of engineering in the late 1950s and early 1960s was the space program, which was begun in 1958 by the National Aeronautics and Space Administration. Shurney applied for a job at NASA, but was turned down. The only jobs at NASA on those days were for only menial tasks. 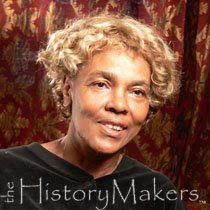 Shurney called upon his sister-in-law who waked with Dr. and Mrs. Martin Luther King, Jr. The Kings contacted U.S. Attorney General Robert Kennedy, who along with the powerful African American Congressman Adam Clayton Powell, convinced the Space Administration to hire Robert. Shurney returned to Huntsville, where he was hired after a favorable interview in the latter months of 1962. The faces of engineering labs and test facilities was about to change for ever. No longer would every engineer be a white male with a buzz cut, black framed glasses and a slide rule in his hand. Many times the white workers believed he was the janitor. On many occasions, he was the only African-American in the briefing rooms. Another of Robert Shurney's first major assignments at NASA was to work with the weight distribution of the Saturn V rocket. The precise flight of the gigantic rocket, the most powerful ever designed by the United States, was absolutely critical to the agency's accomplishment of the goals set by President John F. Kennedy of landing a man on the Moon and returning him safely to the Earth by the end of the 1960s. All of Shurney's hard work on the Saturn V rocket culminated with the successful launch of the first rocket on November 9, 1967, for which he received a personal citation from Dr. Werner Von Braun, Director of the George C. Marshall Space Flight Center. Shurney participated in all of the Apollo flights including man's first moon circumnavigation on the Apollo 8 mission on Christmas Eve in 1969 and man's first landing on the moon on July 20, 1969. Perhaps Shurney's most well known and most heralded contribution to the space program came during the Apollo 15 mission. Mission planners were charged with the design of missions which would require the moonwalkers to seek out and retrieve the greatest variety of moon rocks as possible. Though the moon's low gravity allowed the astronauts to move easily across the lunar surface, it became imperative that the astronauts be able to move long distances without arduous and dangerous hikes across alien surfaces. Though three successful moon landings yielded a tremendous amount of data about the lunar surfaces, engineers were still uncertain as to the stability and composition of the moon's soil under the weight of the vehicle, its cargo of moon rocks and the two astronauts. NASA assigned Shurney to design a tire for the vehicle which would allow the rover to move across the moon's surface free of bogging down in the thin soil. Shurney studied all of the available data and came up with a design with metal chevrons giving the rover the greatest traction possible, all the time keeping the vehicle within the weight restrictions during the launch. "There were a lot of things we didn't know about the lunar surface. We didn't know the dust profile. And so we took from the information that we were able to obtain and eventually came up with the idea of the chevrons that are on the lunar rover wheel. We designed it in such a way that it would keep the dust off the crewmen and they could see where they were going. The wheels left a trail like a rooster's tail. That's where we got the idea," Shurney said. The tires of the Lunar Rover, designed by Dr. Robert E. Shurney. Used for the first time on the mission of Apollo 15. 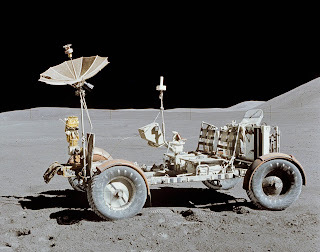 Shurney's design proved to be a success on July 31, 1971 when astronauts David Scott and James Irwin became the first men to drive a vehicle on the Moon. The Apollo 15 astronauts traveled slightly more than twenty-seven kilometers during their three-day visit to the Moon. The rover was used on the final two Apollo missions, Apollo 16 and Apollo 17 contributing greatly to the success of the missions and the entire Apollo program as well. As a part of his studies of the moon's surface, Shurney also developed a device to measure the depth of and any vibrations emanating from the lunar surface. Until future visitors return to the moon and retrieve the lunar rovers, they will remain on the surface, along with their tracks. After rebounding from the devastating premature end to the Apollo program, Shurney and other NASA scientists went to work on the Skylab program, which utilized the hardware left over from the cut Apollo missions. 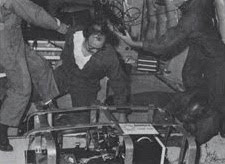 Perhaps the most important part of the missions, aside from their technical aspects, was the strain on the human body during extended periods of weightlessness. Once again, Shurney was called upon to design systems and devices to allow the astronauts to function in a gravity free environment. conditions aboard a KC-135, ca. 1970s? Early astronauts trained in pools of water to simulate weightlessness. 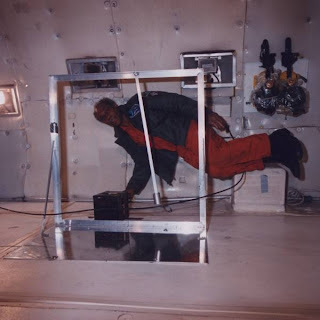 NASA converted a KC-135 airplane into a flying laboratory to provide astronauts with twenty to thirty seconds of actual weightless conditions by flying upward at a forty-five-degree angle and then rapidly descending. The plane would fly "roller coaster" style for hours leading to its nickname of "The Weightless Wonder," or more affectionately, "The Vomit Comet." Shurney reportedly flew more than six hundred hours in the training aircraft, more than any other NASA employee, primarily during the Skylab flights and early flights of the Space Shuttle. Basic human functions had to be addressed in a zero gravity environment. Just going to the bathroom in a toilet could become a messy and difficult process. Shurney designed and successfully tested toilets aboard the KC-135 for the Skylab missions, which lasted until the latter years of the 1970s. Just eating could also be an arduous task. Without gravity, some foods would simply fly apart before they could be eaten. Some sort of binding agent was necessary to keep the foodstuffs together. Once again, Shurney analyzed the problem and devised a solution to keep the astronaut's meals together. He even designed a special container to store the food in and utensils to eat the food with. Spacecraft orbiting the Earth face the problem of intense heat on the sunny side of the craft and intense cold on the dark side. Shurney, along with others, designed a solar shield and solar panel. The shield insulated the spacecraft from the heat, while the panel helped provide a constant source of energy to power the orbital station's batteries and equipment. Many of Shurney's designs like the commode and food utensils have been utilized on the shuttle missions. Shurney continued his education while working at NASA. 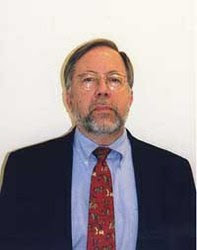 In 1986, at the age of sixty-five years, Dr. Shurney received his PhD degree in physics from Columbia Pacific University in San Rafael, California. 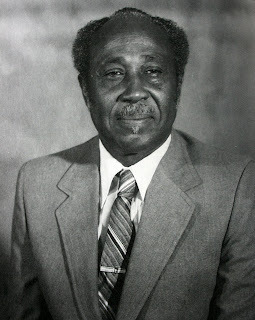 Shurney wrote, "During my time as an aerospace engineer, I kept abreast of new innovations in space by attending many colleges and universities, including Meharry Medical College, Howard University, the University of Michigan, the University of Alabama and the University of Oklahoma." He wrote many technical manuals and scientific journal articles. In 1990, after thirty six years of government service, twenty-eight of them with NASA, Dr. Robert E. Shurney retired. During his years in the space program, Dr. Shurney was awarded the First Lunar Apollo Flight Award, the Apollo Achievement Award and the Skylab Achievement Award along with a myriad of certificates of appreciation and letters of commendation. After retiring, Dr. Shurney's service to his community did not stop. The doctor has lectured on college campuses around the country and as a judge at numerous science fairs. He has volunteered whenever and wherever he could. He is an ardent fund raiser for his alma mater, Oakwood Junior College. Nearly a half century ago, Robert Shurney must have felt the whole world was against him. Today, he is just now receiving the recognition he so richly deserves for leading men into space and to the surface of the moon. He battled the obstacles in his way with dignity, perseverance and natural intelligence. Shurney believes that other underprivileged kids like him can still succeed with the right motivation and determination. " You don't have to do drugs. You don't have to stay out all night long. You don't have to prove anything to anybody but yourself. Have some plan for your life. Strive to be better than what people might expect you to be," Dr. Shurney contends. He ought to know. He's been there and done that more than anyone could have ever imagined that cold December day when he entered this world in Dublin, Georgia nearly eighty-five years ago. Post Script: Dr. Robert Shurney died on November 25, 2007 in Huntsville, Alabama. The kids of the Dublin High School classes of 1960 and 1961 knew Max Byrd was smart. They all knew that he could write well and speak well. But somehow they lost touch with their classmate when his father was transferred to a new job. This is the story of a young man who left Dublin in 1959. With the lessons he learned in halls of old Dublin High School ingrained in his brain, he graduated from one of the nation's top universities and taught at two more of the country's most well respected institutions of higher learning. Along the way, this affable man has written more than a dozen books on subjects ranging from literature to mysteries to historical novels and many more essays and articles. Max Byrd, son of Allan and Rubye Byrd, was born in Atlanta, Georgia in 1942. His father was an accountant for the Veteran's Administration. The Byrd family transferred to Dublin in 1954 and lived in a home on the hospital grounds. Max, like most of the kids of his day rode his bicycle to school, a fairly long ride to the old high school on North Calhoun Street. While Max was in school at Dublin, he was a member of the Latin Club, and in his final year as a junior in Dublin, he represented the school in the boy's declamation competition. He was a member of the debate team and garnered a medal at the state competition. Nearly fifty years later, he still retains vivid memories of "Board of Education," a large wooden paddle wielded by the very stern principal, D.R. Davis. Max and most every one of his era remember the iconic, stern, but excellent, math teacher, Woodrow Rumble. "The class I remember best from Dublin High was Latin. "The study of Latin set me on the right track for learning to write English," Byrd said. In his junior year, Max was president of the Latin Club. Just before the beginning of his senior year, Max and his family moved to Arlington, Virginia. A scholarship from Harvard University was all Max needed to embark on an outstanding career in education and journalism. Excelling in his studies at Harvard, Max was awarded a fellowship to continue his studies at Cambridge University, Kings College in England. Max returned to Harvard, where he obtained his Ph.D. in English. While he was at Harvard, Max developed a life long friendship with classmate and fellow writer, Michael Crichton, author of Jurassic Park and The Andromeda Strain, among many other best selling novels. Byrd owes a lot to Crichton, whom he considers as a writer "who arranges facts into fiction better than just anybody else." Chrichton, who began writing his novels at Harvard, encouraged Max to write. He admired his friend's dedication, energy and willingness to take risks. Gore Vidal influenced Byrd in his historic fiction novels. Max owes a personal debt to Oakley Hall, the founder of the Squaw Valley Writers Conference, an organization now headed by Max. "I wish I could say that I was influenced by John Updike," Byrd said, "but he is so wonderful a writer of English prose that I can only look up and marvel." Dr. Byrd crossed the long-standing crevice between Harvard and the nation's third oldest university, Yale University, where he was offered a position as Associate Professor. Max was awarded the Younger Humanist Fellowship from the National Endowment for the Humanities and an award from the A. Whitney Griswold Fund for the academic year 1974-75. His first book, Visits to Bedlam: Madness and Literature in the Eighteenth Century, won him many accolades. In 1976, Byrd edited and published Daniel DeFoe, A Collection of Critical Essays. In 1976, after six years as an associate professor at Yale, Max made the life altering decision to leave the hallowed halls of the Ivy League and seek his life's goals out west in California, the native home of his wife. While serving as an associate professor at the University of California at Davis, Max began publishing books on English literature. His second work, London Transformed: Images of the City in the Eighteenth Century, a study of English writers he dedicated to Walter Jackson Bate, who inspired him as a beginning writer. From 1977 to 1988, he served as editor of Eighteenth Century Studies. In 1985, Dr. Byrd wrote and compiled Tristram Shandy, a scholarly analysis of The Life and Opinions of Tristram Shandy, Gentleman by Laurence Sterne. In 1981, Max Byrd was promoted to a full professorship at UC Davis. He taught 18th-century British literature and occasionally freshman English. Byrd struggled with the concept of teaching college students to write fiction. He sees the greatest obstacle to teaching writing is that so many students don't read anything. It was in that same year when Max began to publish a divergent genre of books than his usual scholarly, literary writings. He began writing detective novels back at Yale in 1973. His first published novel, California Thriller, was the first in a series of Mike Haller mysteries. The Private Eye Writers of America awarded him their first ever Shamus award for the Best Paperback Original Novel. The success of his first novel led to the follow up Haller mystery Fly Away Jill in the fall of 1981. A third novel, Finder Weepers debuted on book stands in 1983. Target of Opportunity, a suspenseful novel set in World War II, was a "Book of the Month" selection in 1988. His final mystery novel, Fuse Time, was published in 1991 and deals with a terrorist bomber in Los Angeles. At the suggestion of his publisher, Bantam Books, Max began to write historical novels. His first novel dealt with Thomas Jefferson and the years he spent in France, years which changed Jefferson and the United States as well. Max felt at ease writing about Jefferson and his second subject Andrew Jackson because of his undergraduate studies at Harvard in American History and Literature. Byrd grew to admire Jackson, whom he sees as "routinely underestimated and misunderstood by historians." His third historical work novelizes the life of Ulysses S. Grant, who Byrd believes to have been "a remarkable man, remarkably rich and a man who lived a dramatic life." His latest book, Shooting the Sun, (2004) traces the life of the eccentric 19th-century English genius Charles Babbage and the Santa Fe Trail. During his years of active writing, Max spent five or six mornings and evenings writing seeking to write a minimum of three to five pages. Byrd sees writing as a lonely business and one which you have to be obsessed to succeed. In 2004, Max Byrd quit teaching. He told an interviewer with the Sacramento Bee that "retired" seemed so old and that he planned to keep on writing. Max is a frequent reviewer of history books for the New York Times. He also writes for American Heritage magazine and the Woodrow Wilson Quarterly. He plans to be the Carnochan Lecturer in Humanities at Stanford University next spring. Max and his wife Brookes live in California. They have two children, Kate and David. His most vivid recollection of Dublin is the Carnegie library (Dublin-Laurens Museum), the Martin Theater and the beginning of Bellevue Avenue. He enjoyed the football games on Friday nights as well. Max Byrd hasn't been back to Dublin since he left more than forty-seven years ago. P.S. Max, if you read this, you are always welcome to come back. The library and the theater are still there. And yes, the football games are still as exciting as they were when you left. I hope you gave me a good grade on this article.